I can’t follow a recipe. Okay, well it’s not that I can’t follow a recipe…it’s that I never do. I love trying out new recipes and will usually attempt to stay close(ish) to a recipe the first time I make it, but I am the queen of substitutions and add-ins. And sometimes when that happens, well, I end up with something completely different from what I had set out to make in the first place. 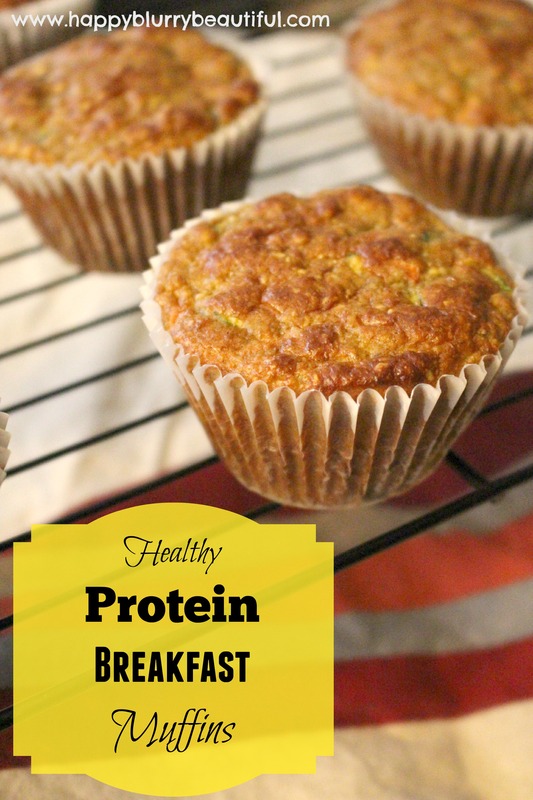 Like these delicious, hearty, kid-friendly breakfast muffins. 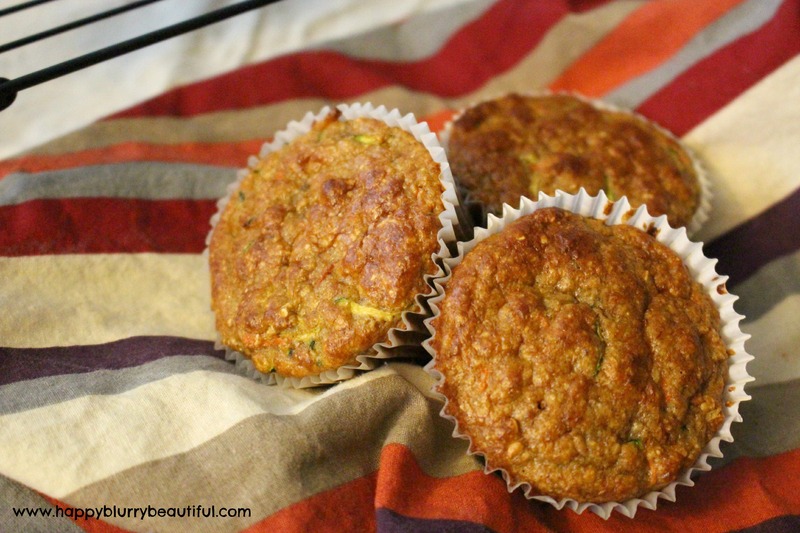 These started off as zucchini muffins, but suddenly I started tinkering and substituting and adding in new ingredients, and before I knew it I had created a whole new recipe. 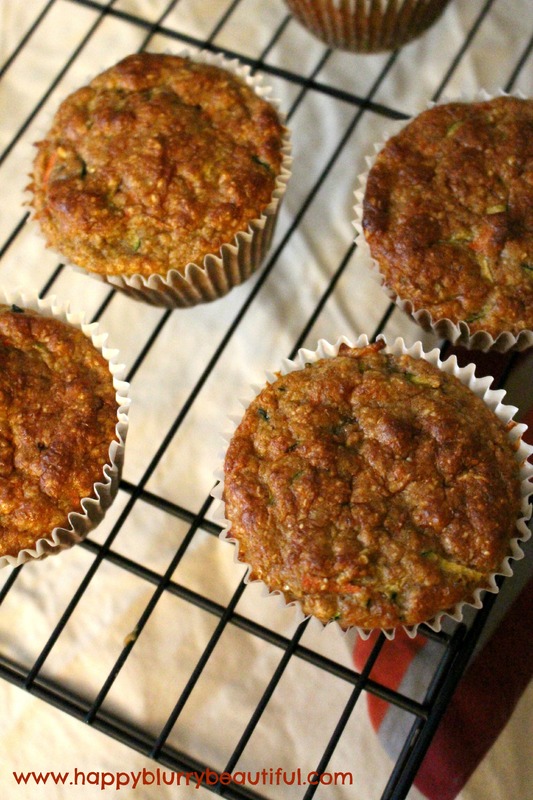 As in, yes, these have zucchini, but that’s about all that I kept from the original recipe. I wanted something that would pack more nutrition, fibre, good fat, and protein, but still satisfy the whole family. This recipe satisfies all those requirements. The best part about these muffins so far? They’ve been approved by the whole family. Even Little Bear (aka Picky Three Year Old) loved these. Being that he’s in the “why?” phase, his favourite question when it comes to snacks or meals is, “How did you make this?” When I told him what was in the muffins he was shocked that carrots and zucchini could taste so good in a muffin, especially because zucchini is one of his least favourite vegetables! He polished off two of these scrumptious muffins, and I didn’t mind it one bit, seeing as they’re packed with tonnes of good stuff! I love muffins, but a problem that I have with them is that they are often more unhealthy than you would think, especially when store-bought. These muffins are full of good stuff, contain very little sugar, and while they do contain chocolate chips, those can easily be replaced by pumpkin seeds, cranberries, raisins, or nuts, if you so please. I like the chocolate chips in there personally, as there aren’t enough to make them a chocolate chip muffin, but a few here and there to help satisfy the chocoholic within. These can also easily be made gluten free, simply by ensuring your oats and protein powder are both gluten free. The batch makes one dozen muffins, but these muffins didn’t last that long in my house. Half of them were gone within the first few hours. I doubt they’ll make it through tomorrow! *To make your own oat flour, simply put oats into food processor or blender and pulse until it reaches a flour-like consistency. **To make one flax egg, combine 1 tbsp of ground flax seed with 3 tbsp of water. Pre-heat oven to 400 degrees and prepare a muffin tray with liners or by spraying/greasing the tray. Combine protein powder, oat flour, baking powder, baking soda, cinnamon, and ginger powder in a large bowl and whisk to distribute evenly. In a second large bowl, add mashed bananas, coconut oil, flax eggs, sugar, yogurt, milk, vanilla and mix well to combine. Add the grated zucchini and carrots to the wet mixture and combine fully. Finally, add the chocolate chips to the batter and mix. Thank you for what looks like a perfect muffin that my daughter can eat (GF!). I am guessing I can use a real egg??? If I do, will this add more protein? Thanks for sharing a great recipe!